Every fantasy owner wants to get his hands on one of the few top tier tight ends, but you need to do your homework to make the right pick and avoid overreaching on draft day. 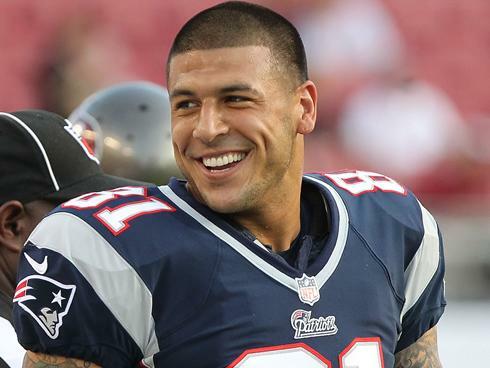 The subject of today’s draft preview: Patriots TE Aaron Hernandez. Hernandez has put up impressive numbers in each of his three NFL seasons, but his draft value will likely be affected by two developing storylines: (1) the status of fellow Patriots TE Rob Gronkowski’s back injury and (2) whether or not Hernandez has committed murder. Gronkowski, who caught 11 TDs in only 11 games last year and set an NFL record in 2011 for the most TDs ever scored by a tight end with 18, has been QB Tom Brady’s top target in recent years. However, he underwent back surgery on June 18 and there have been significant questions about his status for opening day. If Gronkowski is unable to start the season, Hernandez could see more redzone targets, provided of course that he has not by that time already been charged with the murder of Odin Lloyd, whose body was found in an industrial park about one mile from Hernandez’s home on June 17. Hernandez, a former Florida Gators star whose lawyer denied has already been charged with interfering with a murder investigation, has shared time with Gronkowski in an offense that Bill Belichick has built around extensive use of two tight end formations. With top WR Wes Welker departing for Denver and Gronkowski’s health an issue, Hernandez could become the focus of Brady’s prolific aerial assault, much as his home has been the focus of the Massachusetts State Police’s investigation into Lloyd’s death, which is being called a homicide. Lloyd was shot multiple times and has been described as an “associate” of Hernandez, who has not been ruled out as a suspect despite his breakout rookie season in 2010 and a sophomore campaign in 2011 where he put up career highs in receptions, yards, and TDs. Hernandez was at a Boston bar with Lloyd the night before his body was found and caught only 5 TDs last year in an injury-plagued season in which he played only 10 games. But Hernandez’s ankle is supposedly back to 100% and, even though he is being sued for allegedly shooting a man in the face in an unrelated incident in February, many analysts see him as a potential fantasy stud for 2013. Others think Gronkowski’s injury problems have been exaggerated and that NFL Commissioner Roger Goodell’s strict policy of suspending players who hurt the league’s image is likely to affect a player who destroyed his cell phone and home security system and hired a cleaning service to “scrub” his mansion. A panel of fantasy experts projected Hernandez to get 65-75 receptions and 8-10 TDs this year, but that was before police searched his home and removed ten bags of evidence. Some analysts point to Ray Lewis as proof that involvement in a murder doesn’t have to get in the way of putting up big numbers, but cautious fantasy owners may want to look elsewhere to fill their tight end slot. Saints TE Jimmy Graham’s stats dropped off slightly from 2011 to 2012, but he has consistently been suspected of zero killings in each of the last three seasons. Falcons TE Tony Gonzalez, who turned 37 years old this offseason, caught 93 passes last year and has never obstructed justice in his 17 year NFL career. Both are solid options. James J. Hamilton is an experienced fantasy football player who dominated the regular season in both of his leagues last year before spectacularly flaming out in the playoffs. In 2010, he drafted LB Rolando McClain in the 6th round and drunkenly touted him as the next Patrick Willis (McClain recently retired after three disappointing seasons and multiple arrests). He last won a fantasy football league in 2005.